As more stories of family separations at the border trickle out, many Americans are trying their best to fight the Trump administration’s zero-tolerance immigration policy. “We’re moms, we have children, and many of us have been trying to figure out how to do something that can make a difference,” Ross told Refinery29 over the phone. The goal is to raise awareness about the situation at the border while simultaneously supporting RAICES, a Texas-based organization that has offered free and low-cost legal services to immigrant kids and families for the past 30 years. For every child that writes a postcard and it’s posted online using the hashtag #postcards4families, they will donate $5 to RAICES. Wood, who first suggested the idea, said that their framework is flexible and anyone could start a similar #postcards4families campaign to support the organization of their choosing. Ross said that the other reason why the family separation stories have shaken so many people is because it’s an issue that involves children and feels personal. A quick search on Facebook’s fundraisers and donations tab, GoFundMe, and other platforms show similar fundraising efforts. Some have exceeded everyone’s expectations: For example, a Facebook fundraiser organized by Charlotte and Dave Willner to support RAICES has raised over $5.4 million since Saturday. “Regardless of political party, so many of us are distraught over children being separated from their parents at the border. 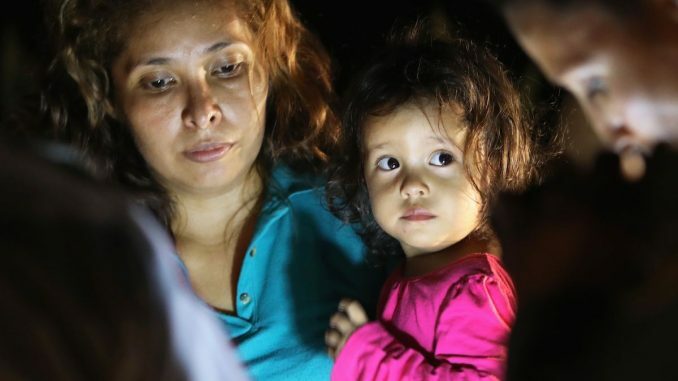 We can’t all be on the frontlines to help these families, but by supporting RAICES, we’re able to do something that just takes less than a minute, and collectively have an impact,” Charlotte told Refinery29. In an update posted by Dave on Tuesday, he told supporters of the fundraiser that they’ve spoken to RAICES to talk about how the organization would use the money. “They are ramping up a huge network of volunteers, attorneys, and partner organizations statewide to make sure no child and no parent falls through the cracks,” he wrote. RAICES is organizing a webinar Wednesday to discuss its plans. For Charlotte, people’s response to the fundraiser had been inspiring — but raising money is just the first step.